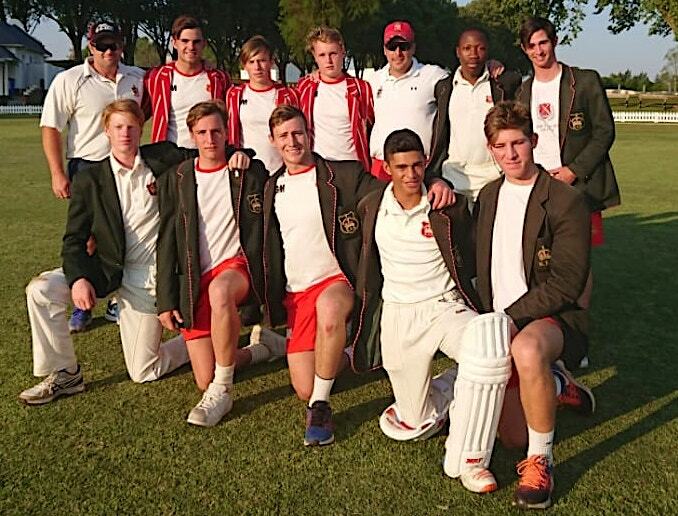 Perhaps they had one leg on the homeward-bound busses, or maybe it was the potluck nature of T20 cricket, but the final day of the Michaelmas Cricket Week in Pietermaritzburg on Tuesday saw the majority of the Gauteng teams implode and go down to their KZN opposition. Only King Edward and Pretoria Boys’ High of the Gauteng schools managed to win and keep their unbeaten records intact. Grey College were the third side to go through unbeaten in the week, beating St John’s by a whopping 154 runs in a T20 match on Tuesday. KES beat Kearsney by 40 runs to end as the most impressive side on view over the four days. Their captain for the rest of the season, Bryce Parsons, was one of the best players on view, scoring a century on day two and being among the runs and wickets in all of their encounters. Pretoria Boys’ High beat Northwood on Tuesday after accounting for DHS, Kearsney and St Charles in their earlier encounters and showed impressive consistency. Maritzburg College’s Andre Bradford got the only century of the final day, scoring 107 against Westlake in one of the few 50-over games scheduled, with Hilton’s Michael Sclanders got 87 against St Andrew’s in one of the other 50-over affairs. Sclanders is enjoying a rich vein of form, having made 150 against Westlake and 53 against KES. 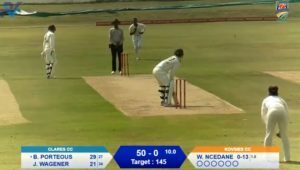 Hudson Park’s Raheem Moonieyan stood out among the bowlers, as his 7-17 against Glenwood was the best bowling return of the week, while on Tuesday he took 4-39 against Michaelhouse.